What do you think? 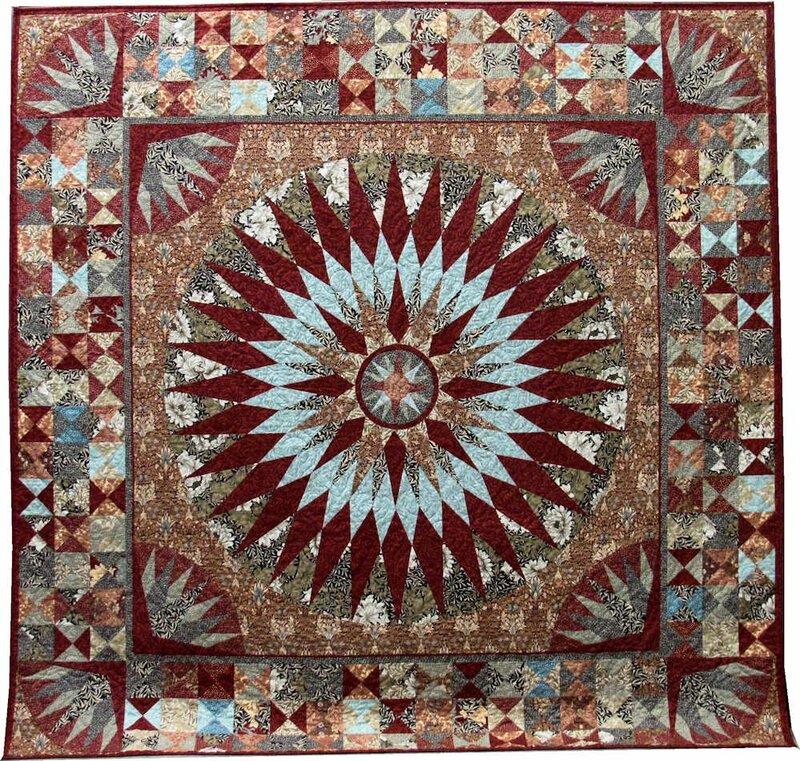 Are you ready to take the challenge of making this stunning quilt? Sonja will be with you step-by-step during five all-day class sessions held over six months. You will learn and experience-using Robin Ruth’s rulers (NO PAPER PIECING) and your straight ¼” seams to achieve a new addition to your heirloom quilt collection. The class is spread over six months to allow for homework. This quilt is perfect using reproduction fabric or for using bright, colorful batiks. The class participant will need a ¼” foot, the pattern and the rulers (as mentioned on the pattern). The store will be happy to order these for you. If you wish to choose a different collection or batiks or use fabric from your stash, Sonja will be happy to meet with you (after you have committed to the class) at an arranged time to help you with your fabric choices (including a detailed fabric list) as part of the class fee. Note: In addition to the soon-upcoming Wed. daytime class, Sonja has now scheduled a January-thru-June Saturday daytime class. Session-5: Looking Forward to Wrap-Up Session. Congratulations! Materials Included: Upon registration, stop by the store for the supply list.